Key Difference: Roast and bake are two dry heat cooking methods. Roasting is generally done by using some fat with food. The form of food generally remains the same after cooking. On the other hand, baking tends to change the state of food being cooked. Meats are generally roasted, whereas flour based foods are generally baked. Roast and bake, both these terms are related to the two methods of dry-heat cooking in which hot and dry air is used for cooking. Generally, the terms are used interchangeably. However, some differences are pointed out by the chefs. Roasting and baking both these words are generally used in context to the cooking by using an oven. Both of them use dry heat for cooking. Originally, the term roast was used for cooking over an open flame only. However, now the term is also used in context to ovens as most of the ovens use convection techniques for coking. The term roast is generally used for the food which is present in a solid structure. It is roasted to make it tenderer inside. This process generally forms a nice crispy or non-crispy crust on the exterior part of the solid food. However, baking is generally associated with leavened items. For example, a cake or pie is baked rather than roasted. They tend to rise during the process of baking. Baking essentially requires a oven, whereas roasting can be done in an over or even over a fire by using heat sources like gas, charcoal or electricity. Roasting usually does not change the form of the food, whereas baking usually changes the form of food from liquid, paste or powders to solid form. Generally, roasting requires a higher temperature than baking. It is important to mention that these differences have a few exceptions also. Baking requires an oven typd of closed environment, whereas roasting can be done in both open and close environment. Roasting is done by using some kind of fat, which can be added in the form of oil being brushed on a vegetable, meat etc. In case no fat is used, the roasting is often termed as dry roasting. Baking differs from roasting as it does not involve fat. It can be done with little fat or no fat surrounding the food. 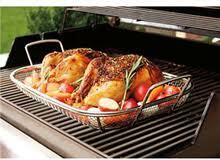 Roasting may also be considered as a method of baking in which food is baked uncovered. Traditionally, it refers to the method of dry-heat cooking in which heat was used to cook food in open. The form of food generally remains the same after cooking. 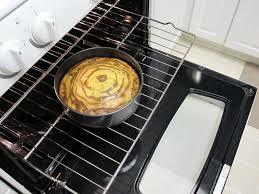 Baking is another method of dry heat cooking which tends to change the state of food being cooked.